Four purpose-built metal-free laboratories for dissolution of geological samples and ion-exchange separation of elements for mass spectrometry. 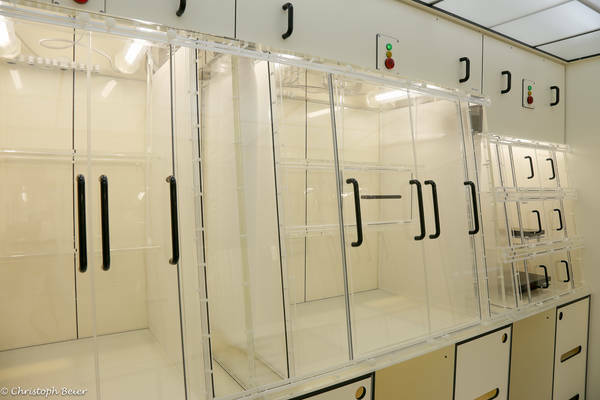 Laminar flow cabinets are supplied with Class 100 filtered air, Teflon-covered hotplates for evaporations, Savillex teflon distillation equipment for purification of acids, ion exchange columns for separation of Sr, Nd and Pb. Typical total procedural blanks for Pb are 30 pg.